Plans were to remove the Tappan Zee piece by piece and avoid the use of explosives that could have an impact on Hudson River fish habitats. But experts determined the old bridge was structurally unsound, preventing workers from continuing the piecemeal takedown. 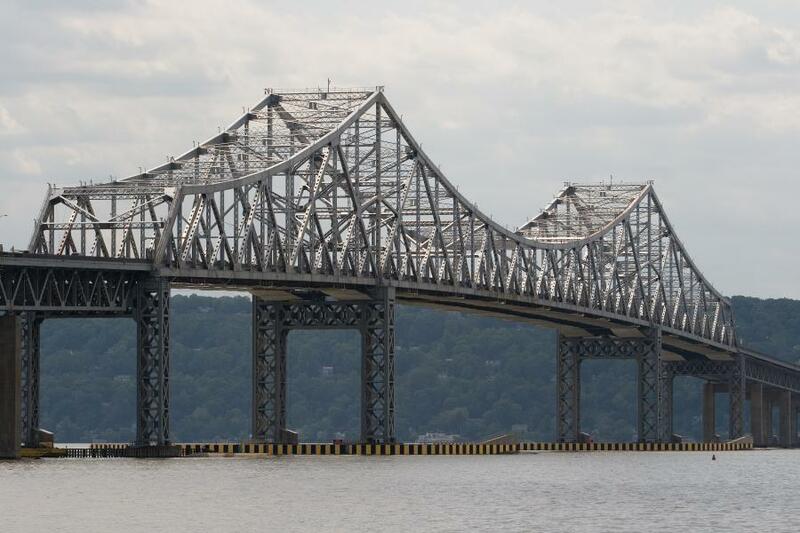 TARRYTOWN, N.Y. (AP) — Workers will use explosive charges to demolish the remains of New York's old Tappan Zee Bridge sometime this month. The Journal News said contractors discussed their plans with the mayors of Hudson River towns this week. Boats already have been diverted to a 300-ft. channel on the western side of the Gov. Mario M. Cuomo Bridge, which replaced the Tappan Zee. Coast Guard Petty Officer Steve Strohmaier said vessel traffic could be shut down for nearly an hour during the implosion.